One of the most common questions I get from my clients and audiences is how to find better markets. Regardless of whether I am addressing crop farmers in the Canadian prairies, food companies in the US, seafood producers in Ireland or local farmers here in British Columbia, the need to escape the undifferentiated commodity market is close to universal. In my opinion, there is a simple reason for this. I usually explain it by joking about commodity markets being 95% price and 5% psychology, while niche markets are 95% psychology and 5% price. Of course, the percentages must not be taken literally. My point is that for commodities, since all the physical qualities of the offerings are similar, the (almost) only decision factor to choose between suppliers is price. All other arguments do not weigh much. For producers, this is often frustrating because it is a cold-hearted process in which the market decides. They feel that they have no control about the price setting, which is true for the most part. Although futures markets are there to help farmers limit the price risk, the lack of control in the actual price setting contributes to uncertainty, especially for producers in region with a relatively high production costs. In many developing countries, the disconnection between farmers and the markets presents similarities with the above. The lack of access together with the lack of control is a major impediment for the development of strong and successful farming operations. Then, is niche marketing the way to go? Before answering this, it is useful to take a closer look at what a successful niche is about. Probably the best way to visualize it is to look at it from Maslow’s pyramid of needs, and look at which gradients we can define as we climb up the pyramid. The first one that comes to mind is that the bottom of the pyramid represent the need for generic cheap commodities and the top the exclusive luxury niches. The second one is directly derived from the previous one and from the content of the pyramid. It is the amount of emotion and psychology involved in the customer’s choice. This means that the level of quality also must increase as we go up the pyramid. Similarly, the level, and the quality, of service are also more important, as the target group lies higher in the pyramid. These differences clearly mean different way to conduct business. A solid niche is difficult to enter. If it is not, then many followers will rush into it, commoditize it and destroy it in no time. The difficulty can have very different reasons. It can be technical. It can be organizational. It can be commercial. It can be a matter of logistics or of planning. Whichever the reason may be, the message is clear for the producers: they must have the specific know-how to serve the niche well. They need to have the right set and the right combination of skills in-house. If done well, the development of a niche will also result in higher and more predictable margins, as well in the short term as in the long term. This has a lot of value to food producers, because they can plan ahead much better. Another important aspect of a solid niche is its growth potential. A good niche will grow. Of course, it will not become a commodity market, but that is what the producers want to avoid. If the niche has no growth potential, then as a producer you will be stuck and will need to find other solutions somewhere else for your business. This is why a niche has to be market-driven. There is no way that a production-driven approach will develop a niche successfully in the long term. It might work for a while, but putting production first will weaken the concept eventually. Good niche management requires a deep connection between the producer and the customers. Developing a niche is not a marketing gimmick. It is not wrapping the old product or service in a new packaging. It is easy to make claims about sustainability, social responsibility or other concerns of consumers, but a good niche is not about the superficial stuff. It is about mutual dependence and shared value. To succeed in niche business, producers must be passionate about what they offer. They must believe in their vision, in their product and in their customers. They must commit to them and engage in a true partnership. If this is not the case or if it is not mutual, the honeymoon will be short-lived. Beyond the common vision and goals, what really counts is to speak the same language. Speaking the language of the customer is not enough. A good niche is one where customers want to buy from you, not having you hounding them for more sales. Good niche marketing rests on collaborative planning with the customers. 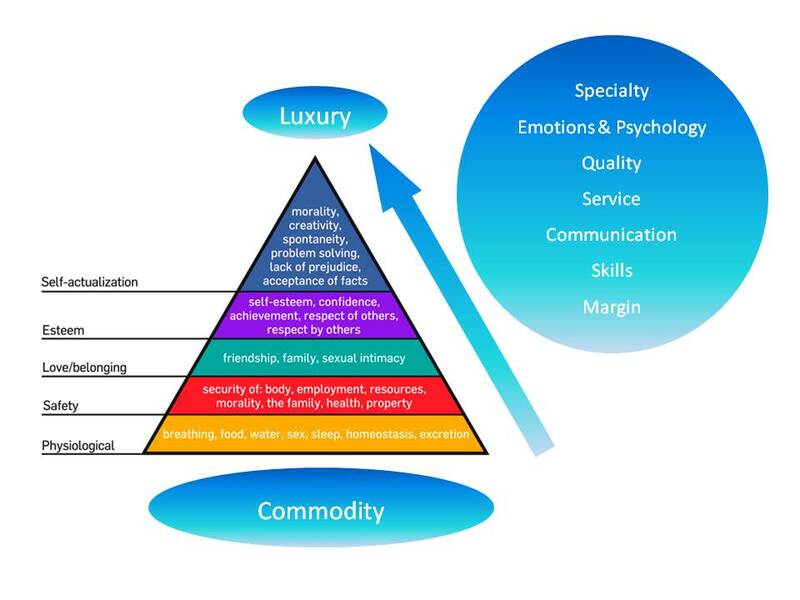 Although the comparison with Maslow’s pyramid of needs is useful, it is also important to realize that it does not necessarily means that a niche be tiny. Niche marketing is not the same as local and/or micro business. Especially in a world where purchasing power is evolving and where a huge middle-class with increasing disposable income, as well as a growing upper-class, are rising in populated emerging countries, niches may actually be quite large in comparison with the traditional Western markets. Because there is such a need for niche developement, I am offering a specific program here at my company to help producers who want to walk the niche path. In my professional life, I have had many jobs and projects that were about getting away from the undifferentiated market and develop specialty markets that generate higher margins. The reason is that the production units where in countries with so-called uncompetitive production costs. 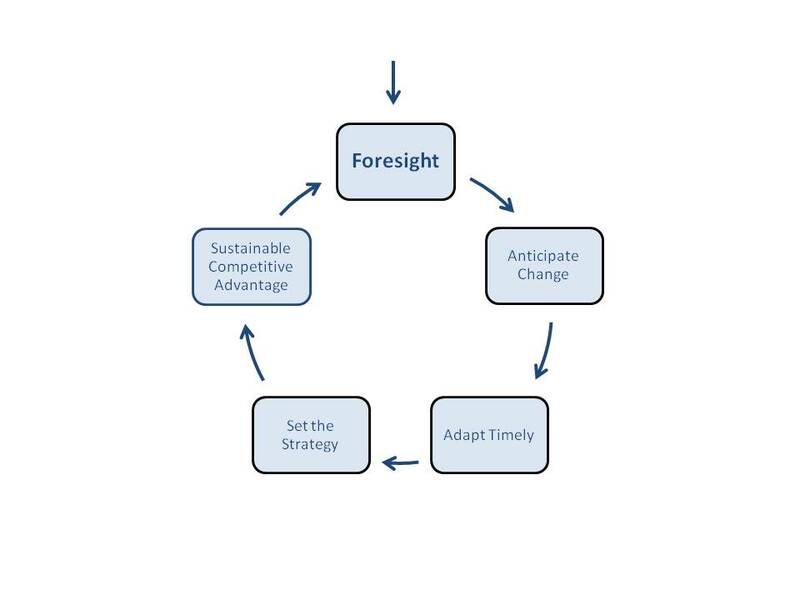 Despite that, I successfully turned around difficult situations by setting up adequate strategies that capitalized on the strengths of the businesses and took them away from their areas of weakness. Developing successful niches takes time and perseverance. For instance, it took me three years to get the poultry company I was working for to be approved as a supplier to Marks & Spencer. It also took some painful human resources decisions to turn around the sales activities I inherited in Germany. It took a lot of energy to lead for change here in British Columbia in an organization that was all about production and with no marketing skills, just as it took a lot of energy to convince the market that our new strategy would work (focusing on Chinook salmon instead of Atlantic Salmon) because many tried before and finally gave up. Yet, we did it and in half the time from what was stated in our supposedly very ambitious plan, and both the company and the customers benefited greatly from this move. I must also state clearly that to achieve such outcomes, I had set up teams with the mix of the right skills and talents to execute my vision. Nobody can do everything alone. That is valid for yours truly just as well. I am quite thankful for the great people who joined me in these endeavours and made it happen. The difficulty to enter the niche protects you from the competition, but you also must pass the hurdle yourself. This means that you need to have the capacity to be stronger than your competitors. If you are not, realize that you will have difficulties to stay in business anyway. You are currently browsing the The Food Futurist blog archives for April, 2013.